Despite the threat of heavy rain in this afternoon�s finals of Round 4 of the UCI Mountain Bike World Cup here in Vallnord, Andorra, the light drizzle never evolved into anything that would have an impact on the racing, much to the relief of the attending crowd and race teams who all hoped for a clean race. 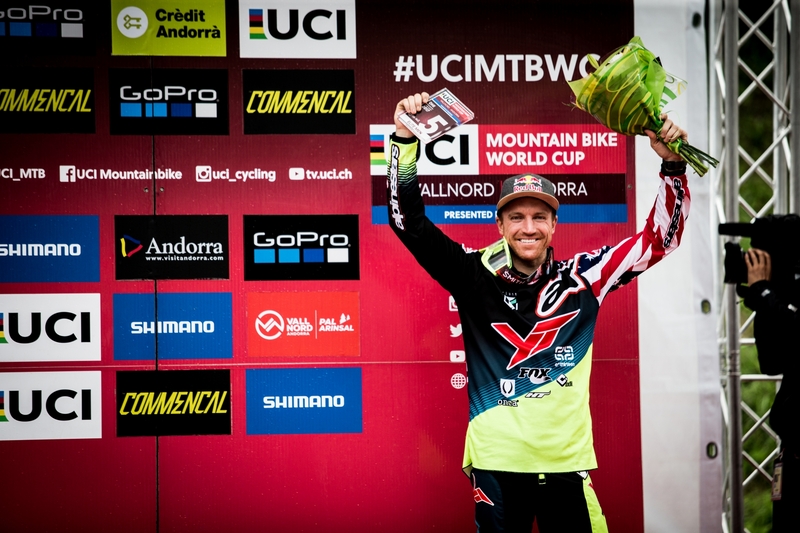 Given what took place last year in Andorra, there were some anxious faces looking to the sky as the clouds rolled in, but in the end, the racing was tight and exciting, and full of drama. 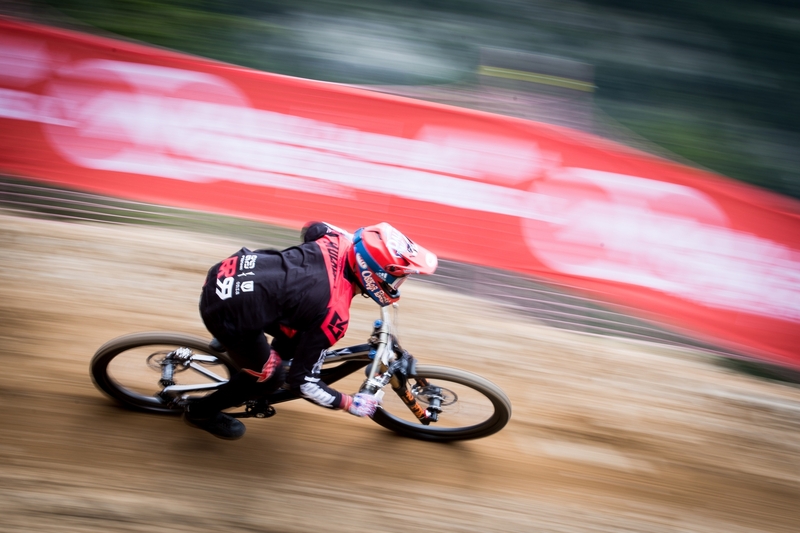 The YT Mob�s Aaron Gwin lost some time in the first sector of his run but picked up a lot of time in the final two sectors to finish just 16/100th�s of a second from 3rd place. His 5th place today was his 9th World Cup podium for The YT Mob in what was his 60th career World Cup race start. The points earned this weekend means that Aaron maintains his 2nd place in the overall series as we head into round 5 of 7, next week in Lenzerheide (SUI). Had a great weekend of racing with the team here in Andorra. I made some good progress in my riding here this year and I�m fairly happy with how my run went. I�m bummed I was only a few seconds off the win; I believe I had the time in me but it just didn�t come together exactly how I�d hoped. 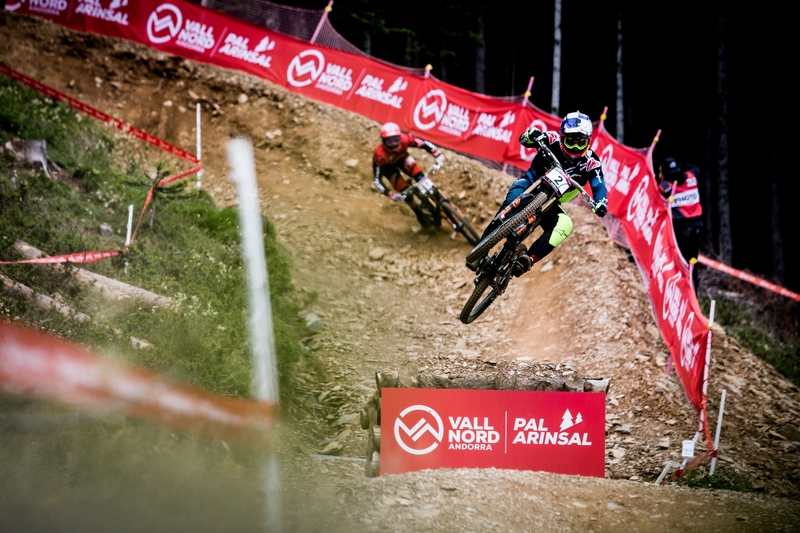 I�m looking forward to one of my favorite tracks of the year next week in Lenzerheide! Meanwhile teammate Neko Mulally, who�s nursing a wrist injury that he suffered in training at the last World Cup race in Leogang, managed to qualify and then race the finals scoring enough points to find himself sitting in 15th place in the overall, a protected rider for next week�s race. Racing this track today was tough with my wrist injury. I hoped that it would be all healed up in time for this round but it still proved to hinder my grip strength and therefore my confidence all weekend. I�m hoping it�s a little better for next weekend and completely healed for round 6 in Mont-Sainte-Anne. The team�s 3rd rider, Angel Suarez, joined the team this week to support Aaron and Neko, while still recovering from surgery after a recent set back with his right shoulder. Angel will be out of racing for the remainder of the season but plans to join the team again for the finals in Val Di Sole (ITA). The team now prepares to travel to Switzerland, ready for some warmer and drier weather in western Switzerland.